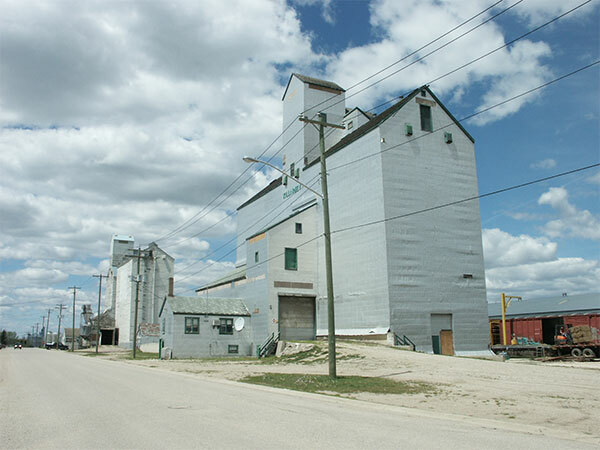 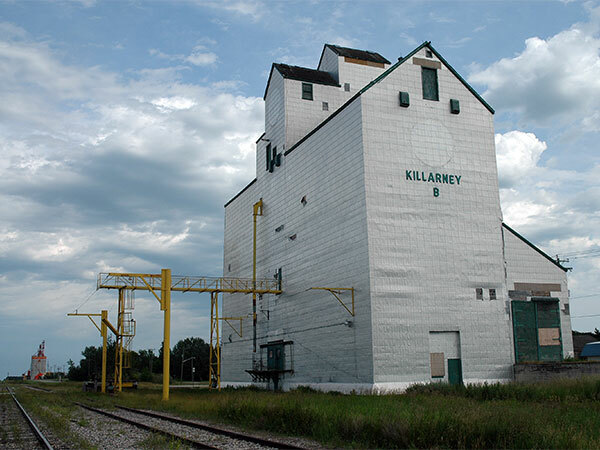 A composite grain elevator in Killarney, on the CPR Napinka Subdivision in the Municipality of Killarney-Turtle Mountain, was built in 1960 by Manitoba Pool Elevators. 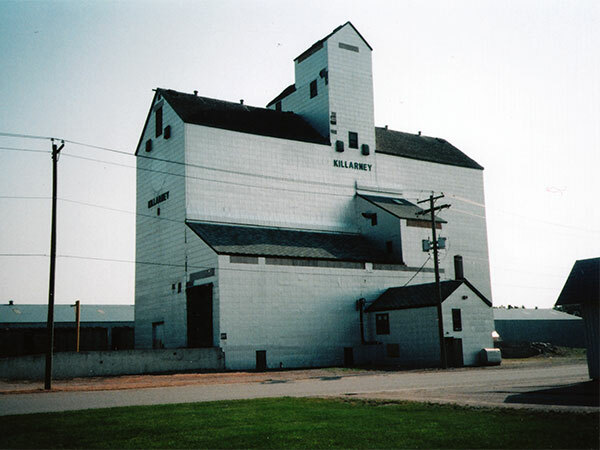 Renovated in 1980 and 1988, it was demolished sometime after 2007. 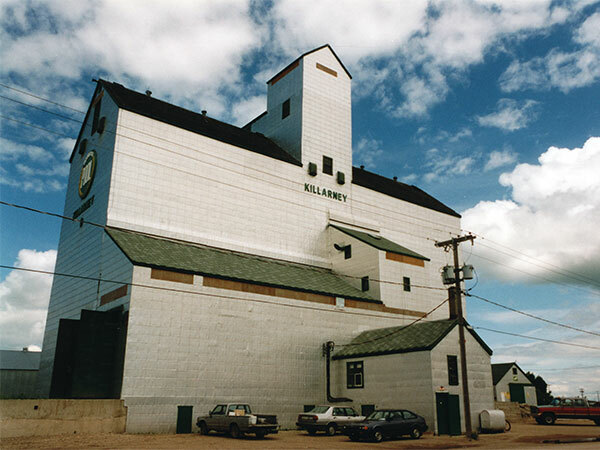 Source: S. J. McKee Archives, Brandon University. 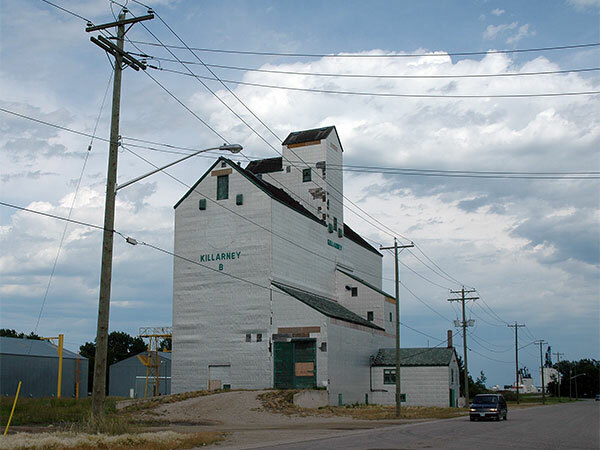 This page was prepared by Gordon Goldsborough, Bernie Freeman, and John Friesen.